Activity recognition is useful in applications for daily life, including automatic patient monitoring and working-state analysis. Even though some studies have developed methods to recognize daily activities, misclassification has been found to occur frequently for activities that involve small hand movements. 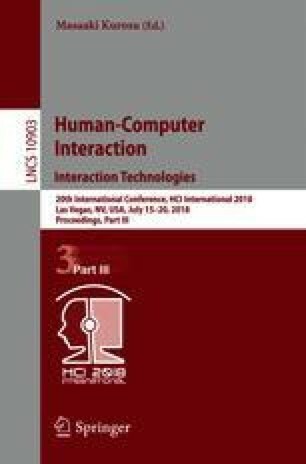 This paper evaluates a method that uses acceleration data from both wrists and machine learning classifiers to recognize deskwork activities with small hand movements. The acceleration data are measured using sensors attached on both of the user’s wrists. The maximum, minimum, average, and Fourier transform coefficients of the segmented time series are extracted as features from the measured acceleration data. Combination of two types of features were evaluated to classify four deskwork activities with the support vector machine (SVM) and random forest algorithms. SVMs with the basic statistical feature vectors of both hands achieved the highest recognition accuracy, i.e., an accuracy of 0.94 for all participants. The results revealed that the acceleration data from both wrists can effectively recognize deskwork activities.